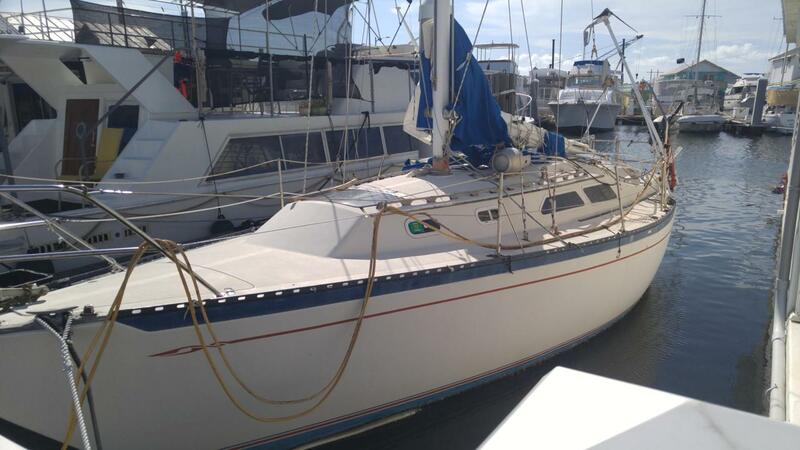 Rare liveaboard slip and vessel for sale in central Key West in Garrison Bight Marina. Dockmaster has approved vessel up to 13' x 50', plus a 1977 32' x 11' Islander sailboat with Yanmar diesel engine. Marina monthly fee is just $ 467.68 per month and includes well maintained shower and laundry facilities, pump out, elec. and water hookup, patrolled security, off street parking for 2 vehicles and allowance for up to an 11' dinghy. This is truly affordable housing in the midddle of Key West ! Cash only. Listing courtesy of Randall G Moss of Coldwell Banker Schmitt Real Estate Co. (Kw). IDX information is provided exclusively for consumers' personal, non-commercial use and may not be used for any purpose other than to identify prospective properties consumers may be interested in purchasing. Information is deemed reliable but is not guaranteed accurate by the MLS or Jimmy Lane Real Estate Team | Century 21 Schwartz Realty. Data last updated: 2019-04-25T23:40:44.513.